we fill them with our homemade, hand whipped fillings. 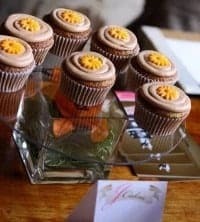 You’ll be amazed at the reactions of your guests when when they take a bite of a JCakes Cupcake. Watch their faces for the surprise and delight as they savor fresh mousse in the center! 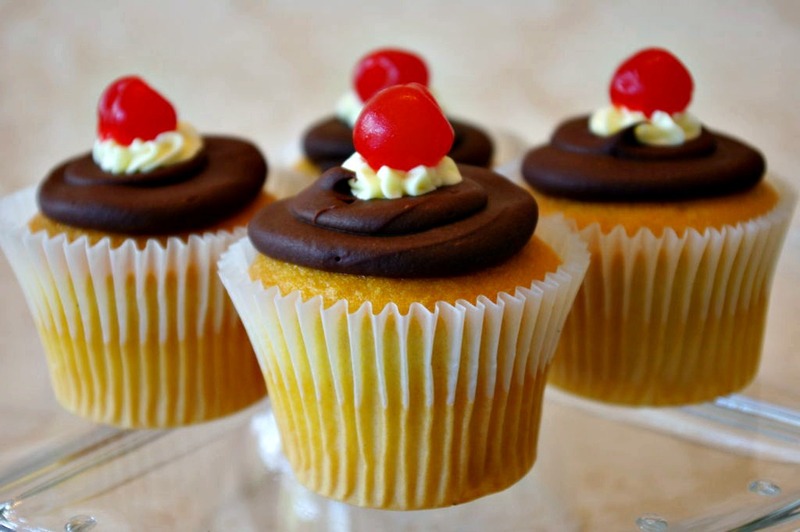 Most of our cake flavors can be made into standard sized cupcakes. Special order flavors other than the ones listed below require a minimum order of 12 cupcakes. 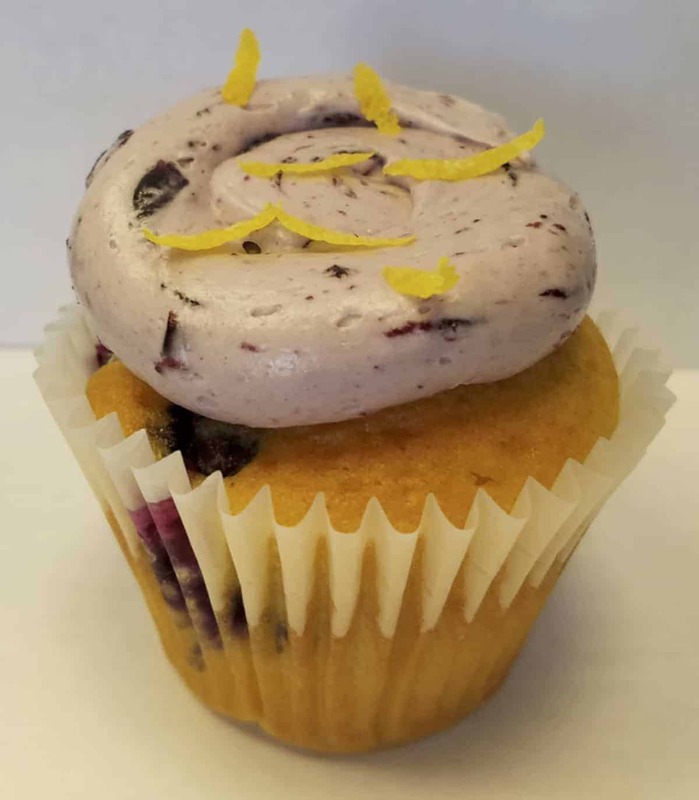 The April Cupcake of the Month: This lemon blueberry cupcake is frosted with blueberry buttercream and ganrished with freshly-grated lemon zest. Act Fast! Once the month is over, they’re gone! So stop in and get yours today. Here are a few of our best sellers! Golden layer cake filled with vanilla pastry cream and frosted with chocolate ganache. Garnished with a maraschino cherry. 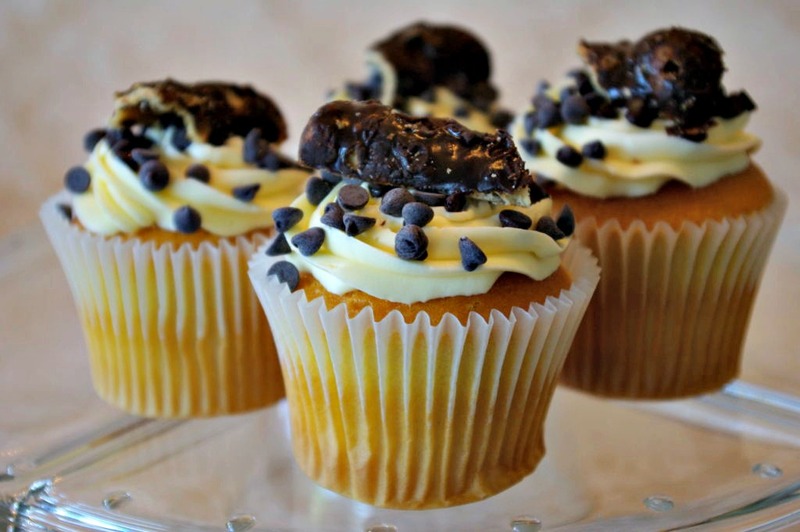 Golden Vanilla cupcake filled with homemade cannoli filling and topped with vanilla French buttercream, chocolate chips and a cannoli shell piece. Chocolate Devil’s Food Cake filled with hand whipped chocolate mousse. 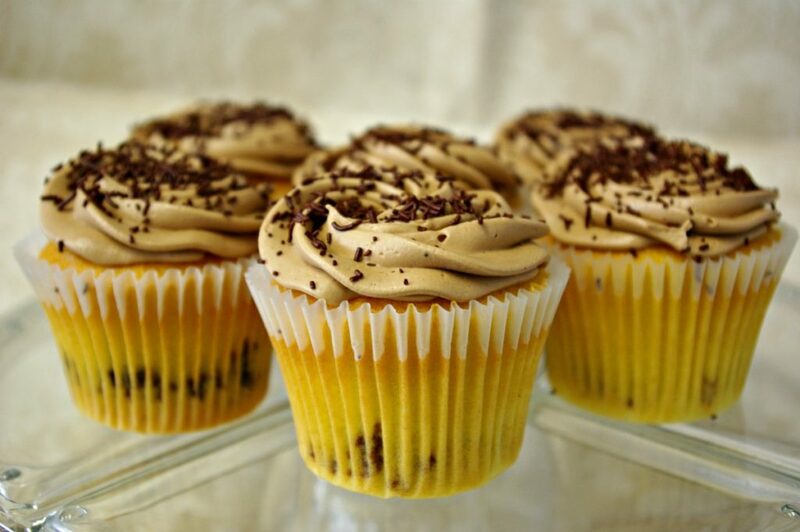 Frosted with mocha French buttercream and garnished with dark chocolate shavings. Chocolate Devil’s Food filled with homemade coconut butter pecan filling and frosted with mocha French buttercream. 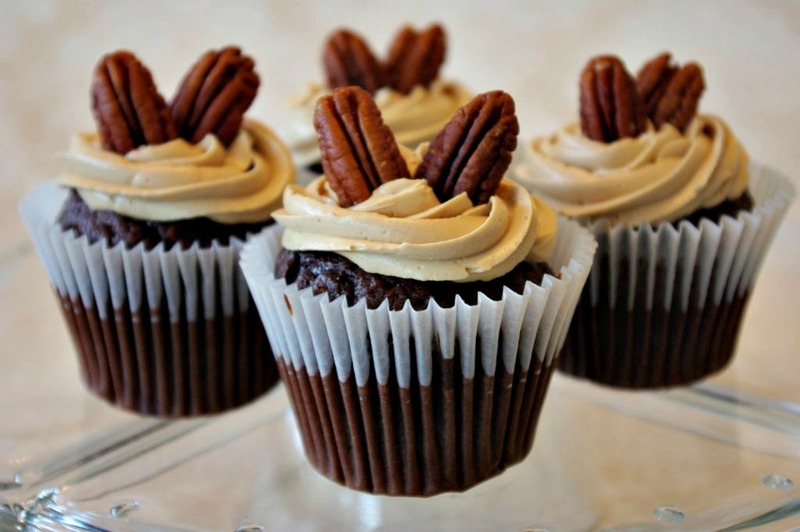 Garnished with pecans. Golden vanilla cake filled with homemade lemon curd and frosted with yellow vanilla French buttercream. Garnished with white chocolate shavings. Golden cupcake filled with a white chocolate mousse blend of strawberries and raspberries. 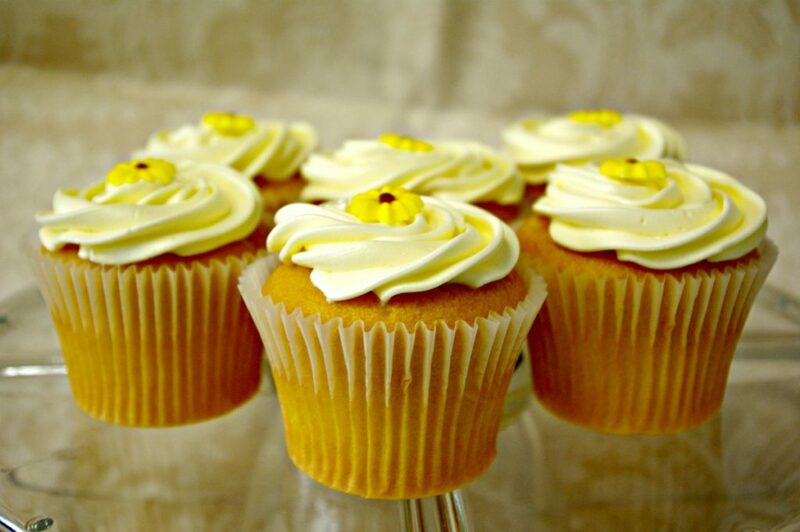 Frosted with a vanilla French buttercream and garnished with a sugar daisy. Chocolate Devil’s Food filled with a hand whipped white chocolate oreo mousse. 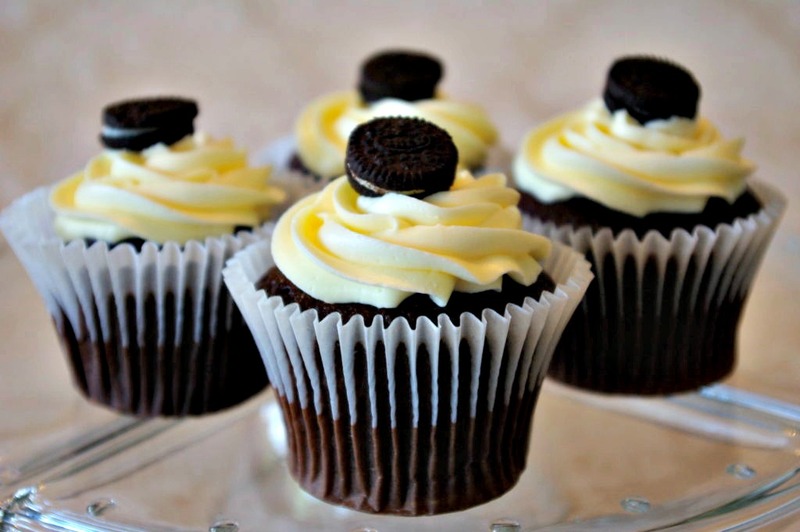 Frosted with vanilla French buttercream and garnished with a mini oreo. 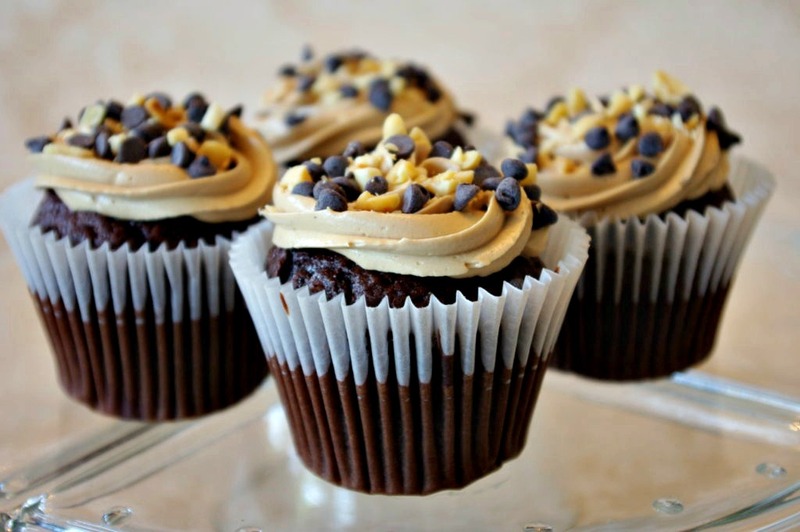 Chocolate Devil’s Food filled with hand whipped peanut butter chocolate mousse and frosted with chocolate buttercream. Garnished with chocolate chips and crushed peanuts. 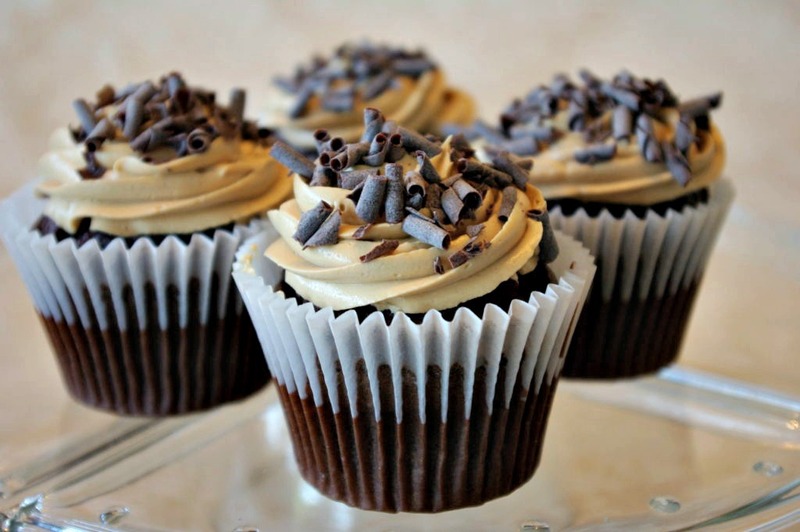 Chocolate Devil's Food filled with salted caramel and frosted with mocha French Buttercream. 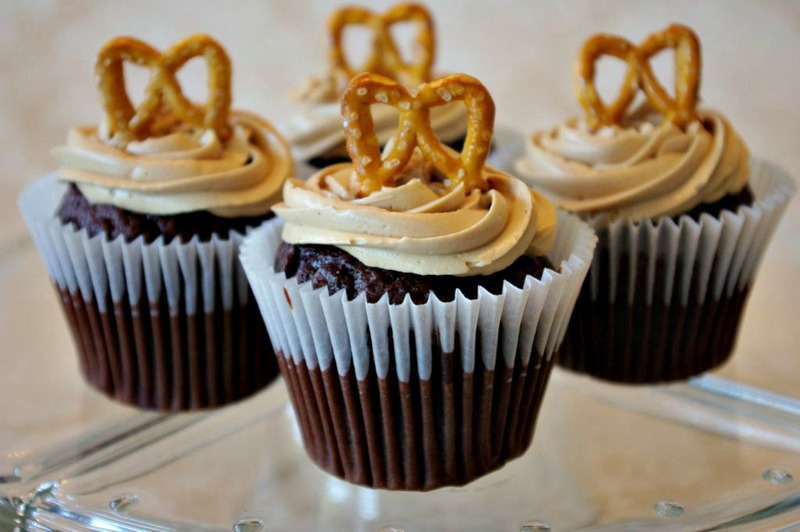 It is garnished with a pretzel. Golden Layer cake filled with hand whipped white chocolate mousse. 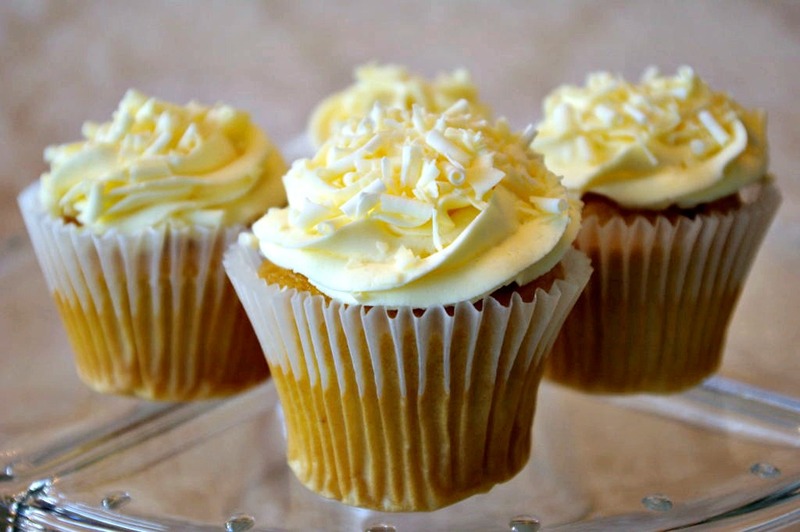 Swirled with vanilla French buttercream and garnished with white chocolate shavings. Placing your order in advance is best – but if you have a craving and need a quick fix.. we normally carry 9 flavors in our shop for walk-ins! Standard Cupcakes are $3.50 each. One Dozen is $39.00. 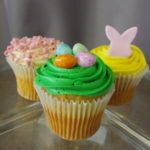 Custom cupcakes are available at an additional charge – you dream it, we bake it! 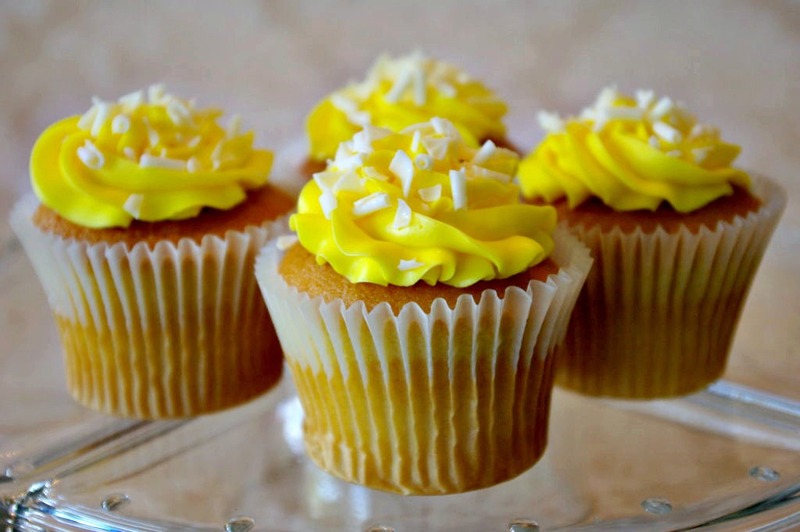 Don’t forget to check out our Custom Cupcake Gallery!